A key takeaway for regional parties is that like the JD(S), they too can hold their ground against the BJP-Modi juggernaut. The obvious conclusion is that Karnataka has given a fractured verdict in the assembly election. However, there is an underlying shift in the electoral mood, which is not palpable as of now. Even though it has emerged as the single-largest party, the Bharatiya Janata Party (BJP)’s falling well short of the majority mark of 112 out of a total of 222 seats that went to the polls on May 12 indicates that despite pulling out all the stops, including the support of tainted mining barons from Ballari and playing up the Hindu versus Muslim card, the people of Karnataka have not given the BJP a clear victory. This points to a fact BJP-RSS supporters are loath to acknowledge – the Modi wave is over. During the election campaign, BJP’s supremely confident chief ministerial candidate, B.S. Yeddyurappa, had appeared in front of cameras and given May 17 as the date of his swearing-in. Post the fractured mandate, Yeddyurappa, although no more exuding confidence, still appeared to give a ‘victory speech’ in which he thanked the people of Karnataka and asserted that people had “rejected” the Congress and “accepted” the BJP. “People are moving towards a Congress-mukt Karnataka,” he had said. What he might have failed to realise is that when it comes to vote share, Congress at 38% was nearly two percent higher than the BJP at 36.2%. This verdict is a resounding rebuttal to Prime Minister Narendra Modi and BJP president Amit Shah – both had claimed that Congress and the Janata Dal (Secular) (JD(S)) are essentially dynasty parties that the people of Karnataka will reject in this election. It is also a huge setback to the duo’s near-total consolidation of the BJP as despite five years of anti-incumbency against Siddaramaiah-led Congress government, they were unsuccessful in reaching the majority figure of 112 seats. At a personal level, the result also shows that Modi’s firepower is no longer proving to be as effective as was expected. It is important to remember that, at the last minute, Shah had increased the number of Modi rallies from 15 to 21. 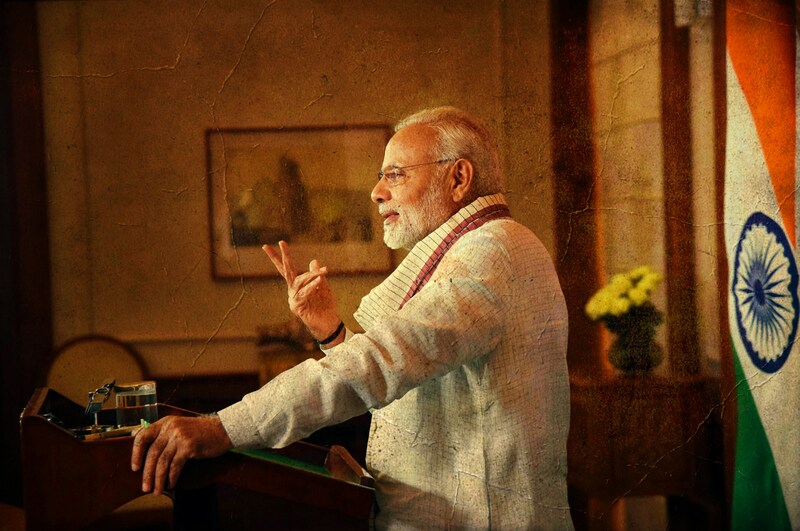 The failure of the extended Modi blitzkrieg to take the BJP past the magic number too points to what the BJP-RSS bhakts just don’t wish to see – the Modi wave is all but over. Modi’s appeal might have helped the BJP perform better among its traditional vote banks among upper-caste Hindus, Lingayats and in certain pockets in north and south Karnataka, but beyond that, it has largely failed to dent the support bases of both the Congress and the JD(S). The Karnataka election results also gives boost to those opposed to the Modi-Shah duo within the party and in the RSS. Because, had the BJP not alienated the JD(S) and its significant support base of Muslims, it should have been easy for it to form the government with its support. In the last election in 2013, the BJP was without the Lingayat strongman Yeddyurappa, and had managed to garner 40 seats and 19.9% votes. This time around, even with both Yeddyurappa and Modi with them, the BJP has been able to get only 36.2% of the votes. A key takeaway of the Karnataka polls for regional parties like the Dravida Munnetra Kazhagam and the All India Anna Dravida Munnetra Kazhagam is that like the JD(S), they too can hold their ground against the BJP-Modi juggernaut. This coming together of Congress and JD(S), former foes, has been crucial as it sends out a message of consolidation of opposition unity, which will be critical in the 2019 general elections. The joining forces of these parties might also start the process of political isolation of the BJP ahead of 2019. This will only help as the opposition has been successful – incrementally – in portraying the BJP as an anti-Dalit, anti-minority and pro-rich party.